Michael joined Bomier Properties, Inc. in 2014. During his short time at Bomier, he has already gained an extensive knowledge of the commercial market, working tirelessly for his customers and clients alike. Michael follows Bomier Properties belief, to always serve with integrity and in a professional manner. He has always enjoyed meeting and establishing relationships with people and approaches each transaction with enthusiasm and drive. 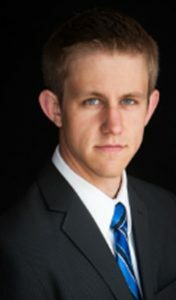 Michael currently serves as a member of the Economic Development Committee for Appleton Downtown Inc. and is also a Community Member for the editorial board of the Post-Crescent.